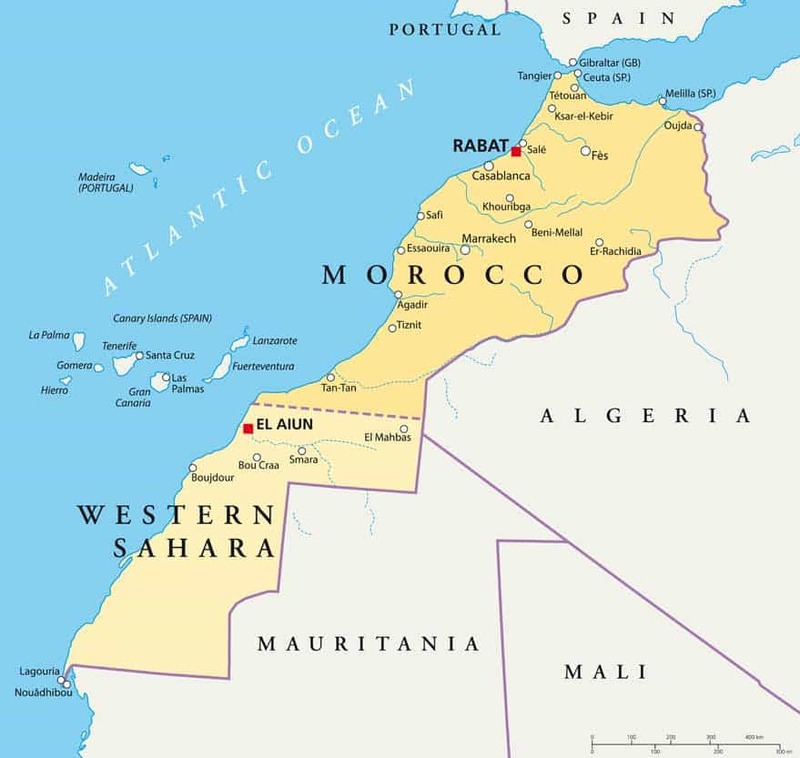 The imperial cities of Morocco evolved out of a series of dynasties since AD429, each establishing their own capitals teaming with craftsmanship that have remained to this day. Rabat became the capital (for the second time) in 1912 while the French, who built the new town, were in power. Marrakech, the 2nd Imperial City, was founded by Oqba on the site of a Berber settlement. The snow-capped Atlas Mountains form the backdrop to this bustling and fascinating city. Situated to the west of the Atlas Mountains and the desert, it is served well with rain and the melting snow in the summer, and is happily never short of water. The region abounds in oranges, olive groves, and vines, while among the tree-lined broad avenues of the city are legendary gardens – Menera, Agdal, Majorelle, and Mamounia. Life revolves around the souks of the medina and Djema el Fna, the main square, which is alive with people, food sellers, entertainers and snake charmers from dawn till dark. Take a guide and lose yourself in the sounds and smells of the souk, try some of the street food or opt for one of Marrakech’s fine restaurants. The nearby Atlas Mountains offer a variety of trekking options for the energetic, or wonderful drives for a more relaxing visit. Here you come into contact with people whose simple way of life has not changed for centuries. From Marrakech, the spectacular four hour winding drive southeast takes you up through the Atlas Mountains then down to Ouarzazate, gateway to the desert. Beyond here the adventurous can explore the small Beau Geste fortified villages, Kasbahs of the Draa and Dades valleys and the edge of the Jebel Sahro mountain range. Sadly, the shades of the Casablanca of Humphrey Bogart have been swamped by the growth of this industrial city, now the second largest in Africa. Its main attraction, in sight of the Royal Mansour, is the minaret of Hassan II’s mosque, the tallest religious building in the world. Other destinations as part of a tour or for a long weekend, include Fez and Essaouira. The former with its welcoming, relaxed atmosphere and more laid back attitude, and the wonderful ancient ruins of Volubillis nearby. The latter with its seaside position and whitewashed houses makes this a lovely spot for some winter sun.